Questions? 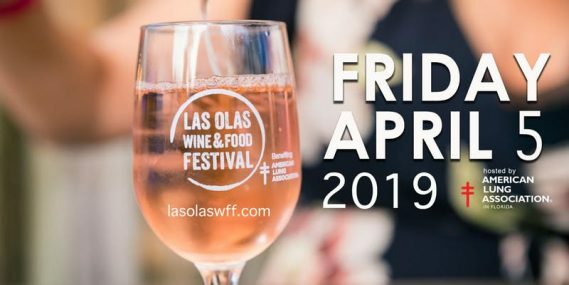 Please email info@lasolaswff.com for more information or online @lasolaswff. Presented by Breakthru Beverage, New Amsterdam Vodka, Woodford Reserve, and William Hill Winery, this year’s Las Olas Wine & Food festival will feature not only five blocks of sips and samples from nationally recognized wineries and top restaurants throughout South Florida, but the American Lung Association will be adding a breath of fresh air for the culinary inclined. This year’s event will help you learn about Fort Lauderdale as they take you on a walk down the iconic Las Olas Boulevard. As you enter each Fort Lauderdale “neighborhood tasting pavilion”, you will enjoy the best cuisines from the area before you stroll to “the next neighborhood”.